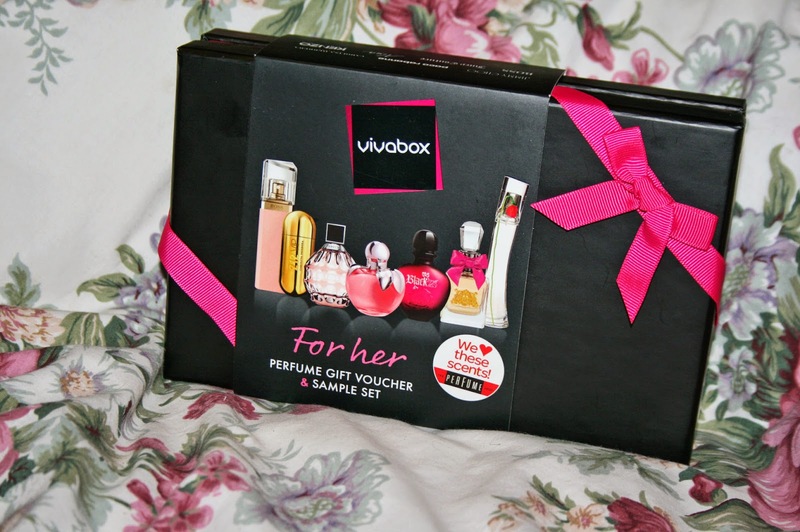 This time last year I was lucky enough to team up with The Perfume Shop to review a lovely little perfume beauty box called the 'Vivabox'. 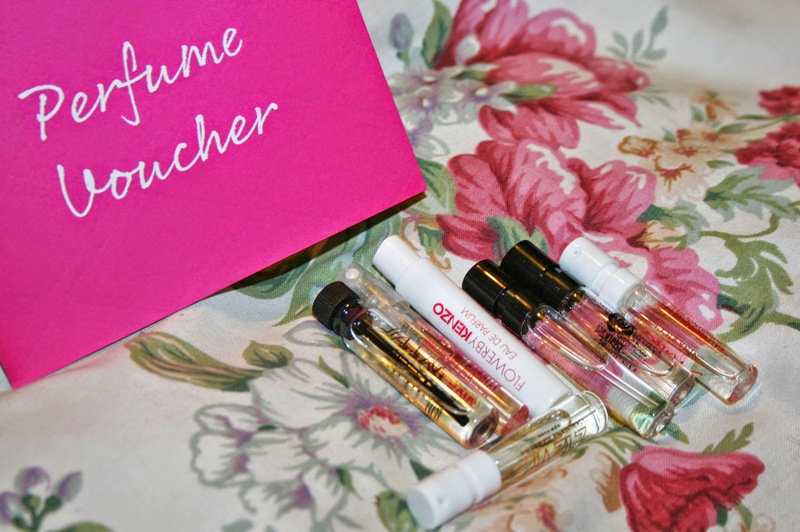 The box itself was designed to be a miniature set of drawers where the top drawer contained 7 sample perfumes, and in the bottom drawer you received a voucher to claim a full sized bottle of your favourite scent. 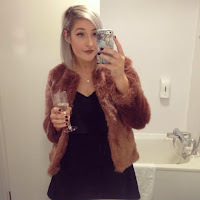 You can read my full blog post about it here, and it was a lovely idea for a Christmas present! I was delighted when they asked me to work with them again this year. The concept is still the same, although the perfumes are different and the box design has been changed. I definitely prefer the packaging for the Vivabox 2014 version! How cute is the little pink bow detailing?! You slide off the cardboard packaging and then the box opens in half to reveal the 7 mini perfumes and a little envelope saying 'For her'. The voucher itself is valid until 30th June 2016 so you don't need to worry about it running out anytime soon! I just feel as though the design has been really thought about and is so lovely this year. It is also a lot more environmentally friendly as the drawer idea last year was cool but it used more cardboard than was necessary to create it! Joe has been a supportive boyfriend in regards to my blog since the very first day, so I was really pleased when Vivabox asked if I'd like to give a men's box to him! It's always lovely when company's take the time to see that you have a boyfriend and offer something for him too, so obviously I snapped up the chance as he deserves a little pampering some days too! :) As you can see below, the box has the exact same design for men as for women, although the colouring is blue instead. Thank you so much again for the early Christmas gift Vivabox and The Perfume Shop, you've made us very happy bunnies! :) How cute do the two boxes look together?! If you purchase a Vivabox in the next 3 days (before 30th November) they are £37.99, saving you a few pounds and making them the exact same price as last year! Would you buy this for a family member or a friend? 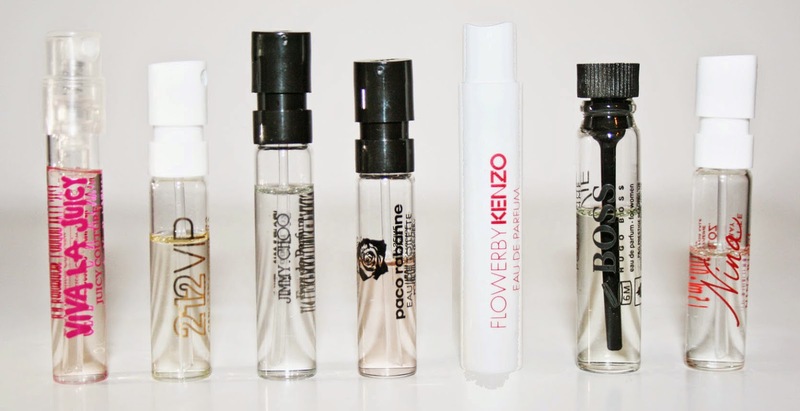 Which is your favourite perfume choice? I really need to try this, it's such a cute box. I have far too many samples around though. I wish we have cool perfume boxes over here, the for her one looks amazing! Love the idea of it, but wouldn't get it myself just because I already have too many fragrance testers at home. Love this idea!!! It reminds me of the Sephora Perfume Sampler that comes with the voucher to get one full size perfume but this is a lot more affordable! Gift ideas for a girly girl: Sass & Belle!